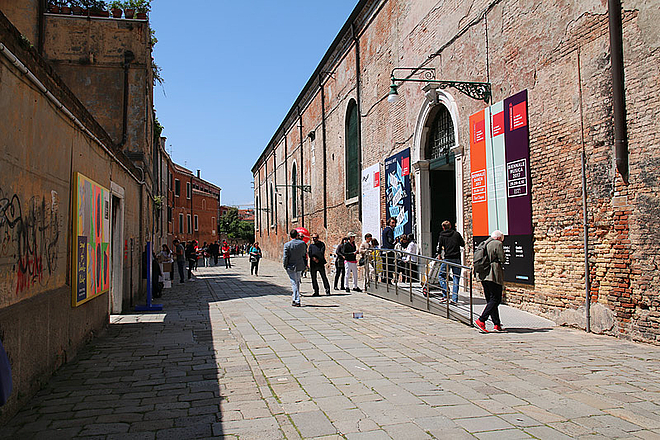 The Biennale di Venezia first employed the Arsenale, specifically the Corderie area, in 1980, for the 1st International Architecture Exhibition. In the following years, the same spaces were used in other Art Exhibitions for the Aperto section, devoted to the promotion of young artists. 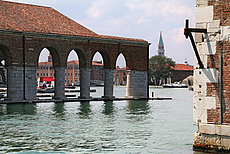 Since 1999, La Biennale di Venezia has been particularly attentive to the restoration works designed for the Arsenale, in order to plan a new functional exhibition arrangement in the areas conceded by the administration of the complex. About 50.000 square metres (25.000 indoor space) of the South-East area of the Arsenale have become the stable site of the Biennale activities, with exhibition spaces such as: Corderie, Artiglierie, Gaggiandre, Tese Cinquecentesche, Tese delle Vergini. 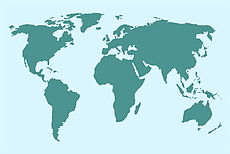 In addition to the central international exhibitions of the Art and the Architecture sections, more and more countries rent spaces in the Arsenale for their national pavilions. Since the end of 2010, there are agreements set between the Biennale organizers and individual countries for the establishment and use of permanent pavilions at the Sale d'Armi of the Arsenale, in exchange of contributions to the building's renovation costs. 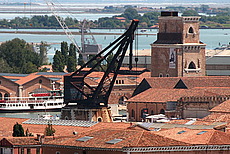 The Arsenale is the largest pre-industrial production centre of the world. Its surface occupied forty-six hectars, and it would host up to 2,000 workers a day in full swing. It is an important place for Venice, not only because the Serenissima fleet was built there, but also because these shipyards, depots and workshops were the symbol of the military, economical and political power Venice had back in time. Its first unit dates back to the beginning of the 13th century, and was developed on the Darsena Vecchia sides. At the beginning of the 14th century, the first extension was realised, by buiding the Darsena Nuova and, in the following century, the Arsenale underwent other transformations due to the impelling naval and military needs of the Serenissima. As time went by, the Arsenale kept losing its military importance, becoming a more commerce-related site. Between 1876 and 1909, the last significant extension intervention was made, the new structures between the Darsena Nuova and Nuovissima. 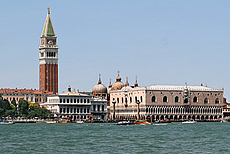 La Biennale di Venezia: International Art Exhibition and International Architecture Exhibition. 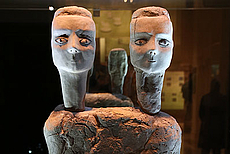 Extensive Specials about the Venice Biennale by Universes in Universe - Worlds of Art, since 2001.